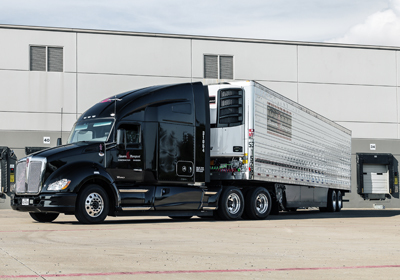 When it comes to over-the-road refrigerated truckload carriers, no other company in North America can boast the same outstanding reputation for premier service, responsiveness and sustainability that Stevens Transport upholds. Over the years, we have built our reputation based on service, performance and relationships. This approach, coupled with our qualified talent pool and vast equipment inventory, allows us to provide full coverage across a broad lane network. Stevens Transport services many of the foremost consumer product distributors in the world. With a customer directory containing numerous Fortune 500 companies, Stevens Transport is poised to remain atop the supply chain logistics arena for several decades to come. Our unmatched reputation for premier service continuously allows us to run countless trips and miles, 365 days a year. Transporting produce is a challenging task to master. It requires pinpoint communication, committed business partners and a flexible, dynamic business process. Stevens Transport has provided all of these and more through both high- and low-growth years, and is a truly distinguished service partner. In the decades since Stevens Transport first opened its doors for business, diversification has also been key to growth. 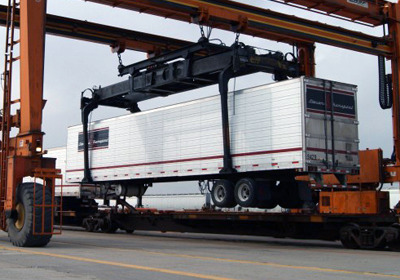 Our multi-modal capabilities, which include truckload, dedicated, regional, cross-border, and intermodal (rail), position us to respond to most business demands with flexibility and on-time service. Stevens Transport is recognized as America’s premier, Family owned and operated truckload carrier. For more than 35 years, our customers have depended on us for precision operated refrigerated and dry van service across North America. Our reputation for on time delivery, innovative solutions for peak seasonal periods and our professional, safe and courteous drivers has made us the choice for America’s top Fortune 500 companies. And, because of our competitive rates and multi-modal coverage, we can meet the needs of customers of any size. Stevens Transport is proud to provide our customers with the most innovative supply chain and logistics solutions in North America. If your company needs expedited transportation, intermodal or international service, Stevens Transport can guarantee the coverage, capacity and flexibility to meet your business demands. Stevens Transport has developed strategic relationships with CSX, Union Pacific, BNSF, Northern Suffolk and drayage facilities located in all of the key hub markets across North America. Our diversified network gives us the ability to ensure timely and efficient movement of Stevens Transport trailers to customer yards. Every one of Stevens Transport’s trailers is equipped for highway and rail service, which guarantees maximum transportation flexibility. Stevens Transport has a proven track record of total quality freight management. By utilizing EDI (electronic data interchange) technology, we can monitor every shipment from pickup to delivery – guaranteeing on time, damage free, responsive service to our customers. While Stevens Transport has long been recognized as America’s premier refrigerated truckload carrier, our Dedicated Services Group is quickly becoming the choice for Fortune 1000 companies across North America. Our Dedicated services allow for guaranteed and consistent year-round capacity. Our dynamic route optimization systems, on-site management and revenue-share programs maximize utilization and help our customers save money. 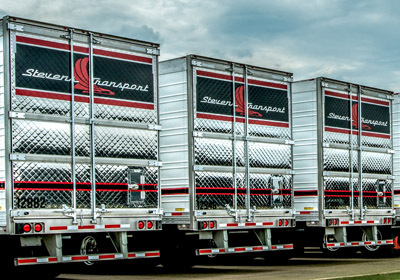 For over 35 years, North America’s leading shippers have counted on Stevens Transport’s Dedicated Services group to provide consistent capacity, real cost savings, and professional and on-time deliveries. 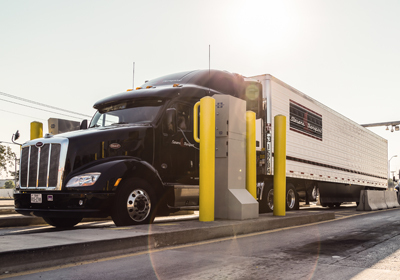 Stevens Transport is North America’s preferred carrier for time-sensitive and temperature-controlled freight moving across the Mexican and Canadian borders. Since 1980, we have been building a network of resources that insure customer satisfaction and delivering transborder logistics solutions. The combination of our resources and first-class communications systems insures on time delivery, within your budget. Stevens Transport was one of the first companies in America to develop cross border solutions. With our experience, you will avoid lengthy customs delays, unnecessary charges, and most importantly – your freight will be delivered on time.